Do you want to take Full Web Page Screenshot Online or Want to convert Web Page to any files like .pdf, .png, .jpeg etc..? Well, In this post I will share the best sites to capture full web page Online for free and convert web page into pdf. These sites are the best online tools to take quality website snapshots for free. Now there is not need to download/install screenshot app/software for capturing web page screenshot. Go below sites, paste URL (URL = Website address or Article address) and choose the file format then hit Enter. Lets use one by one sites to take amazing screenshot of any web page or Article page (Wikipedia) and also convert them to PDF file for feature reading. 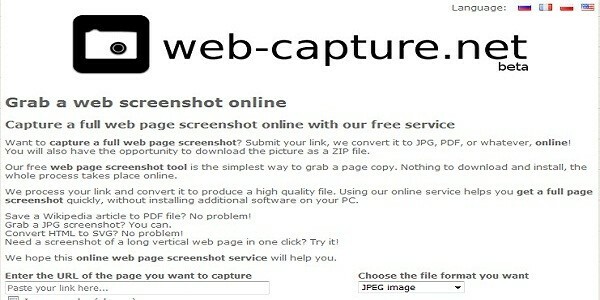 Web-Capture.net is free website to take full web screenshot online. Here you can convert web page to any file(PDF, JPEG, TIFF, BMP, PNG, PS, SVG). This is full free web page screenshot tools to take screenshot of any web article. Suppose if you want to Save Wikipedia article in Pdf then this tool will help you. Only you have to copy Wikipedia url and paste it in “Enter the URL of the page you want to capture” box and select PDF in “Choose the file format you want” then hit on Capture Web Page . It will automatically convert webpage into pdf file in a minutes. 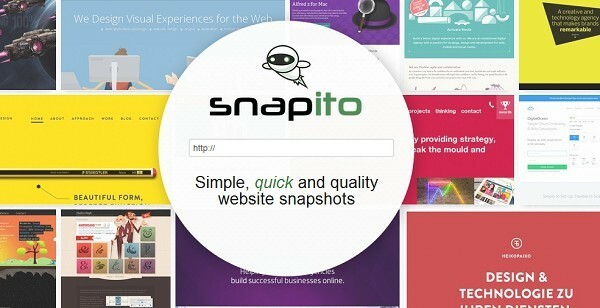 Snapito.com is another best site to capture screenshot of web page. This is also the best Web page capturing website to Capture screenshot of any website and convert web page into PDF file . This site is having great tools for capturing web page in customize size (Desktop, Notebook, Widescreen, iPad, iPhone, Kindle) . This tool is a part of CTRLQ.ORG Project. Here you can take web screenshots images of any web sites. This website can be access through Mobile, Tablet or even computer without installing screenshot software. Amit Agarwal is a founder of Ctrlq.org Project. You can learn blogging from his blog. Url2Png.com is another tool for capturing web page in image. Here you can directly convert web page into Image. Just go to URL2PNG.COM and paste your web/article address and hit on Camera icon. It will automatically convert your URL to PNG image. Screeshotmachine.com is another web page screenshot provider service. It provide complete web page screenshot and thumbnail of web pages. This is free tool for any one. Go to this site and page web address to capture screenshot of web page. These are best tools to capture full website and download screenshots in image or document file. I hope you like these website. If you have any suggestion regarding this Please comment below. You can like our facebook fan page to get latest update.